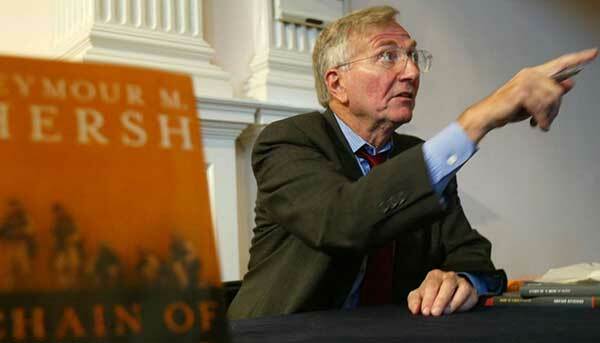 The great investigative journalist Seymour Hersh, in two previous articles in the London Review of Books(“Whose Sarin?” and “The Red Line and the Rat Line”) has reported that the Obama Administration falsely blamed the government of Syria’s Bashar al-Assad for the sarin gas attack that Obama was trying to use as an excuse to invade Syria; and Hersh pointed to a report from British intelligence saying that the sarin that was used didn’t come from Assad’s stockpiles. Hersh also said that a secret agreement in 2012 was reached between the Obama Administration and the leaders of Turkey, Saudi Arabia, and Qatar, to set up a sarin gas attack and blame it on Assad so that the U.S. could invade and overthrow Assad. “By the terms of the agreement, funding came from Turkey, as well as Saudi Arabia and Qatar; the CIA, with the support of MI6, was responsible for getting arms from Gaddafi’s arsenals into Syria.” Hersh didn’t say whether these “arms” included the precursor chemicals for making sarin which were stockpiled in Libya, but there have been multiple independent reports that Libya’s Gaddafi possessed such stockpiles, and also that the U.S. Consulate in Benghazi Libya was operating a “rat line” for Gaddafi’s captured weapons into Syria through Turkey. So, Hersh isn’t the only reporter who has been covering this. Indeed, the investigative journalist Christof Lehmann headlined on 7 October 2013, “Top US and Saudi Officials responsible for Chemical Weapons in Syria” and reported, on the basis of very different sources than Hersh used, that “Evidence leads directly to the White House, the Chairman of the Joint Chiefs of Staff Martin Dempsey, CIA Director John Brennan, Saudi Intelligence Chief Prince Bandar, and Saudi Arabia´s Interior Ministry.” And, as if that weren’t enough, even the definitive analysis of the evidence that was performed by two leading U.S. analysts, the Lloyd-Postal report, concluded that, “The US Government’s Interpretation of the Technical Intelligence It Gathered Prior to and After the August 21 Attack CANNOT POSSIBLY BE CORRECT.” Obama has clearly been lying. That ambassador who was killed, he was known as a guy, from what I understand, as somebody, who would not get in the way of the CIA. As I wrote, on the day of the mission he was meeting with the CIA base chief and the shipping company. He was certainly involved, aware and witting of everything that was going on. And there’s no way somebody in that sensitive of a position is not talking to the boss, by some channel. This was, in fact, the Syrian part of the State Department’s Libyan operation, Obama’s operation to set up an excuse for the U.S. doing in Syria what they had already done in Libya. In the book [Hersh’s The Killing of Osama bin Laden, just out] you quote a former intelligence official as saying that the White House rejected 35 target sets [for the planned U.S. invasion of Syria] provided by the Joint Chiefs as being insufficiently painful to the Assad regime. (You note that the original targets included military sites only — nothing by way of civilian infrastructure.) Later the White House proposed a target list that included civilian infrastructure. What would the toll to civilians have been if the White House’s proposed strike had been carried out? Hersh responded by saying that the U.S. tradition in that regard has long been to ignore civilian casualties; i.e., collateral damage of U.S. attacks is okay or even desired (so as to terrorize the population into surrender) — not an ‘issue’, except, perhaps, for the PR people. The interviewer asked why Obama is so obsessed to replace Assad in Syria, since “The power vacuum that would ensue would open Syria up to all kinds of jihadi groups”; and Hersh replied that not only he, but the Joint Chiefs of Staff, “nobody could figure out why.” He said, “Our policy has always been against him [Assad]. Period.” This has actually been the case not only since the Party that Assad leads, the Ba’ath Party, was the subject of a shelved CIA coup-plot in 1957 to overthrow and replace it; but, actually, the CIA’s first coup had been not just planned but was carried out in 1949 in Syria, overthrowing there a democratically elected leader, in order to enable a pipeline for the Sauds’ oil to become built through Syria into the largest oil market, Europe; and, construction of the pipeline started the following year. But, there were then a succession of Syrian coups (domestic instead of by foreign powers — ۱۹۵۴, ۱۹۶۳,۱۹۶۶, and, finally, in ۱۹۷۰), concluding in the accession to power of Hafez al-Assad during the 1970 coup. And, the Sauds’ long-planned Trans-Arabia Pipeline has still not been built. The Saudi royal family, who own the world’s largest oil company, Aramco, don’t want to wait any longer. Obama is the first U.S. President to have seriously tried to carry out their long-desired “regime change” in Syria, so as to enable not only the Sauds’ Trans-Arabian Pipeline to be built, but also to build through Syria the Qatar-Turkey Gas Pipeline that the Thani royal family (friends of the Sauds) who own Qatar want also to be built there. The U.S. is allied with the Saud family (and with their friends, the royal families of Qatar, Kuwait, UAE, Bahrain, and Oman). Russia is allied with the leaders of Syria — as Russia had earlier been allied with Mossadegh in Iran, Arbenz in Guatemala, Allende in Chile, Hussein in Iraq, Gaddafi in Libya, andYanukovych in Ukraine (all of whom except Syria’s Ba’ath Party, the U.S. has successfully overthrown). Hersh was wrong to say that “nobody could figure out why” Obama is obsessed with overthrowing Assad and his Ba’ath Party, even if nobody that he spoke with was willing to say why. They have all been hired to do a job, which didn’t change even when the Soviet Union ended and the Warsaw Pact was disbanded; and, anyone who has been at this job for as long as those people were, can pretty well figure out what the job actually is — even if Hersh can’t. This way, U.S oil and gas companies will refine, and pipeline into Europe, the Sauds’ oil and the Thanis’ gas, and not only will Russia’s major oil-and-gas market become squeezed away by that, but Obama’s economic sanctions against Russia, plus the yet-further isolation of Russia (as well as of China and the rest of the BRICS countries) by excluding them from Obama’s three mega-trade-deals (TTIP, TPP & TISA), will place the U.S. aristocracy firmly in control of the world, to dominate the 21st Century, as it has dominated ever since the end of WW II. Then, came this question from Hersh: “Why does America do what it does? Why do we not say to the Russians, Let’s work together?” His interviewer immediately seconded that by repeating it, “So why don’t we work closer with Russia? It seems so rational.” Hersh replied simply: “I don’t know.” He didn’t venture so much as a guess — not even an educated one. But, when journalists who are as knowledgeable as he, don’t present some credible explanation, to challenge the obvious lies (which make no sense that accords with the blatantly contrary evidence those journalists know of against those lies) that come from people such as Barack Obama, aren’t they thereby — though passively — participating in the fraud, instead of contradicting and challenging it? 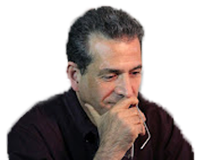 Or, is the underlying assumption, there: The general public is going to be as deeply immersed in the background information here as I am, so that they don’t need me to bring it all together for them into a coherent (and fully documented) whole, which does make sense? Is that the underlying assumption? Because: if it is, it’s false. Hersh’s journalism is among the best (after all: he went so far as to say, of Christopher Stephens, regarding Hillary Clinton, “there’s no way somebody in that sensitive of a position is not talking to the boss, by some channel”), but it’s certainly not good enough. However, it’s too good to be published any longer in places like the New Yorker. And the reporting by Christof Lehmann was better, and it was issued even earlier than Hersh’s; and it is good enough, because it named names, and it explained motivations, in an honest and forthright way, which is why Lehmann’s piece was published only on a Montenegran site, and only online, not in a Western print medium, such as the New Yorker. The sites that are owned by members of the Western aristocracy don’t issue reports like that — journalism that’sgood enough. They won’t inform the public when a U.S. Secretary of State, and her boss the U.S. President, are the persons actually behind a sarin gas attack they’re blaming on a foreign leader the U.S. aristocrats and their allied foreign aristocrats are determined to topple and replace.